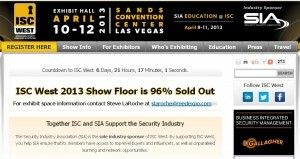 SIA Education @ ISC West delivers top-notch, commercial-free education. Our newly re-titled three-day program features multiple tracks specifically designed to help end-users maximize the return on security investment and meet the demand for integrated security solutions while helping Dealers, Installers & Integrators learn how to capitalize on cutting-edge technologies gives to benefit their customers. With the assistance of our newly expanded ISC Education Advisory Board, ISC West education is devoted to maximizing learning opportunities for individuals in all segments of the industry. Learn more about our Advisory Board. Exhibit hall admission is currently $50 until Feb. 15 and will increase to $75 after Feb 15. Onsite registration is $125 (after April 10). If you’re interested in attending the education program, you can view the pricing and packages here. Do you need professional hostess for you booth?